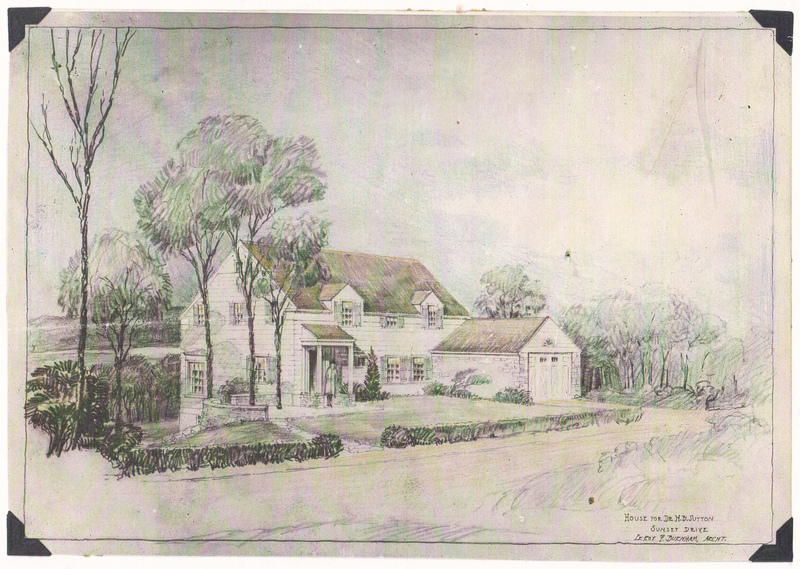 In his personal scrapbook, architect LeRoy Burnham preserved a copy of a pencil sketch of the Colonial Revival home he designed for the family of Ithaca surgeon Henry Bruner Sutton (1894-1982) and Mary Warringer Sutton (1893-1983). ​The graceful residence shared a back garden with the Holt’s home next door at 130 Sunset Drive, and Mary Sutton and Mildred Holt co-hosted tours for the Ithaca Garden Club to showcase the hillside plantings. Mary Sutton volunteered with Mary Hibbard Aid and the Women’s Hospital Auxiliary. Dr. Sutton, who attended Cornell University as an undergraduate and for medical school, was an Ithaca surgeon for almost six decades, establishing his practice in 1924. He helped set up a Board of Health for Tompkins County and served on it as well. The civic-minded doctor gave frequent talks around the community about cancer and other medical issues. 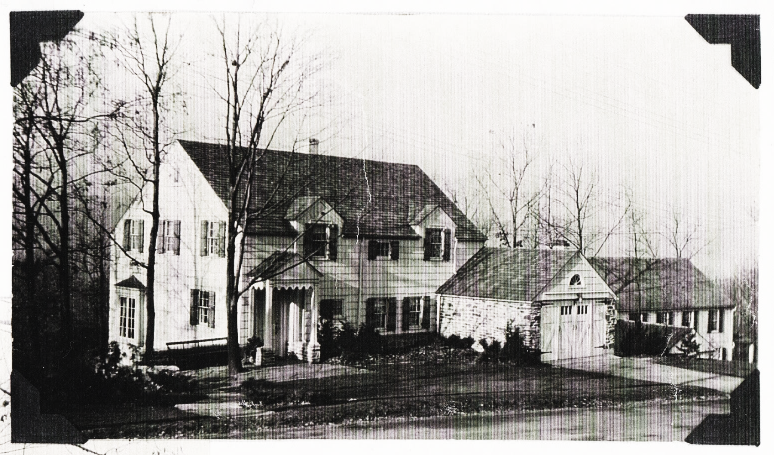 ​After the Suttons passed away in the early 1980s, the house was sold. Tompkins County Clerk’s Deed Book 217, Page 363, Cayuga Heights Land Corporation to Henry Bruner Sutton and Mary W. Sutton, April 1, 1929.